Production Park is a community of studios, businesses and educational facilities based in South Yorkshire. 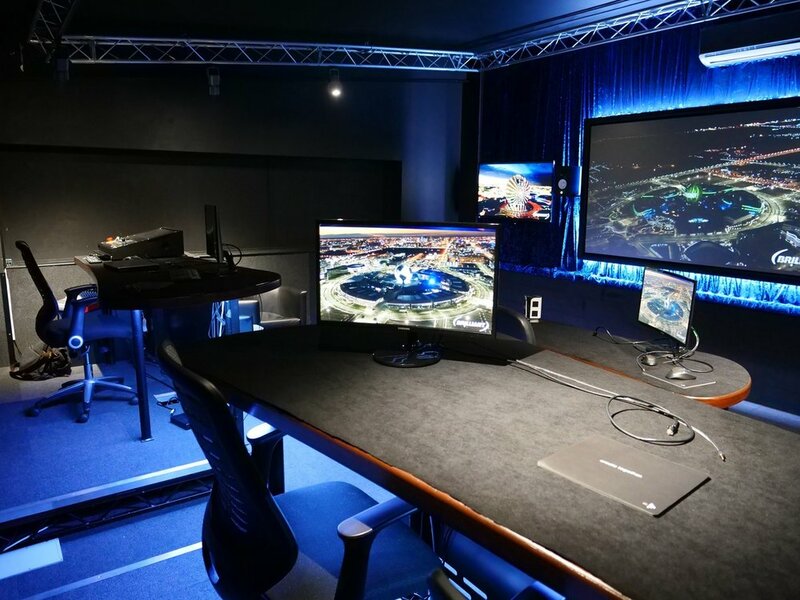 We were tasked with setting up an open day starting with a tour of their sprawling facilities ending with a demo of the brand-new purpose built immersive technology suite. Production Park came to us as they knew that our corporate network would be invaluable to them. The aim of the Open House was to bring high level corporates onsite, give them a taste of the mind-blowing design, fabrication and technology being developed in-house. The immersive technology suite, situated in the newly formed research lab, really is the jewel in the Production Park crown and with intentions of selling the tech into various different corporate markets, we needed to have corporate leaders experience it for themselves. In sit amet felis malesuada, feugiat purus eget, varius mi. Sed a ligula quis sapien lacinia egestas. Need help running your next corporate or B2B event? We can assist in the planning, guest list, execution and marketing of events in any industry.